A Baker's Dozen: 13 of the Best Bakeries in Raleigh, N.C. When it comes baked goods, the Raleigh area truly rises to the occasion. An upper crust of sorts, some of our favorite selections below excel in baking the best loaves of bread, the most delectable desserts and the most positively sinful pastries. Whether you’re a carb connoisseur or a casual consumer of all things tasty, yeasty and sweet, be sure to add these 13 bakeries to your must-do list. In the heart of Cary, there’s a bakery experience that substitutes for a quick (and tasty) trip to France. La Farm Bakery has been serving hand-crafted bread daily in a variety of flavors, shapes and sizes since opening in 1999. The realization of a lifelong dream, La Farm was opened by world-renowned chef Lionel Vatinet who spent years traveling the globe with yeast and flour in hand. The bakery’s founding philosophy is born out of the experience and tutelage of Vatinet’s training in France’s prestigious artisans’ guild, Les Compagnons du Devoir. When Lionel and his wife decided to plant roots, they chose the town of Cary and opened La Farm Bakery. La Farm continues the centuries-old baking traditions and techniques, honoring the boulangeries that once flourished in every little town in France. Everything—from their delicious loaves and delectable pastries, to their rustic décor—transports visitors a world away from the modest storefront the bakery calls home. With so many tasty treats to choose from, it can be hard to decide what to try. Drop by and grab one of La Farm’s signature sourdoughs, Scandinavian ryes or French baguettes for dinner. Or, appease your sweet tooth with an almond chocolate croissant so flaky and light it practically floats. If you’re in the mood to nosh, indulge in something from their breakfast, brunch or lunch/dinner menu of delicious sandwiches, salads, soups and more. The busiest time at La Farm is around lunchtime, but if you are there for lunch, don’t fret—the service is always fast and friendly. 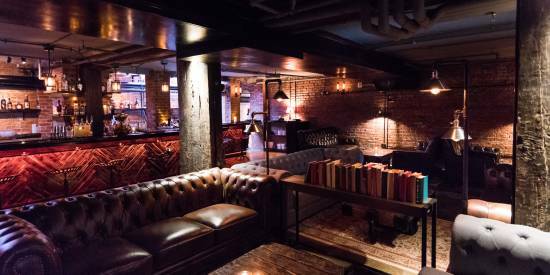 Finding seating can be a challenge during peak teams, but it’s worth the wait for an open table just to experience the old-world ambiance, inside and out. The Saleh family, who founded Neomonde, believes in an uncompromising commitment to excellence—they&apos;ve hit that mark for 30 years now. Every loaf, pita and pastry is prepared using traditional cooking and baking techniques to go along with simple, natural ingredients of the finest quality. It’s this level of authenticity that has locals and visitors alike hooked. At the Neomonde café and market, you can buy fresh bread every morning from around the world, whether it&apos;s Lebanese, Greek, French, Italian or German. By a longshot, the best sellers are Neomonde’s famous pitas, available in a variety of flavors from whole wheat to sesame. Grab lunch or dinner as well from a full menu of sampler platters, specialty pies, sandwiches, salads and sides. After a meal, get ready for the divine experience that is Neomonde’s desserts. The Baklava, lady fingers, mamouls (dates, pistachios or walnuts wrapped in dough, baked and covered with powdered sugar) and other tasty delicacies are tiny works of art as beautiful as they are tasty. Two locations—one in Raleigh directly across from Meredith College, and another in Morrisville—make for easy access to these legendary goods no matter where you&apos;re coming from. For a truly organic bread experience, head to downtown Raleigh where you&apos;ll find Boulted Bread. A completely unique bakery, this organic startup produces a small assortment of breads and pastries in-house with organic heirloom and locally-sourced grains. Founded in 2014 by Joshua Bellamy, Sam Kilpatrick and Fulton Forde, Boulted Bread has become a staple for the community and surrounding neighborhood. It’s unique in that it is one of the only bakeries that grinds its own flour using a mill that was designed and built by its founders—the fact that the bread and pastries are utterly delicious helps as well. The digs for Boulted Bread are modern and simple. You’ll immediately identify the place by the brightly-colored, geometric mural painted on the side of the building, the rolling garage door entrance and the community garden spanning the length of the parking lot. The outside seating is the perfect spot to break bread on a nice day. 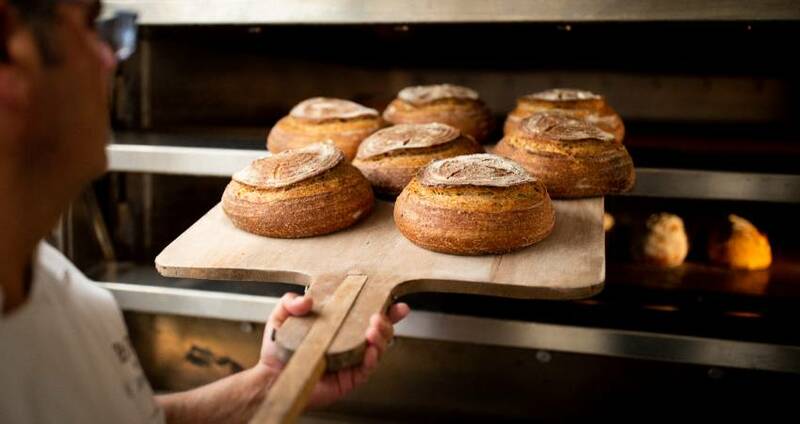 Boulted Bread’s signature loaf is the intensely flavorful, sourdough levain made from whole-wheat flour milled onsite. In addition to the levain, the bakery also makes seeded ryes, ciabattas and baguettes. On the pastry front, the bakery’s in-season selections range from flaky croissants to sweet, fruit-filled tarts to savory quiches. If you’re looking for a sweet bite and an exceptional cup of coffee, then you&apos;ll want to know about Anisette. Inspired by visits to Mediterranean sweet shops and an unreasonable obsession with cookies/cakes/sweet little delicacies, the shop creates thoughtfully crafted and flavorful treats that make their customers feel good. Owners Nicole Evans Groth and her husband Jason Evan Groth set out to create a neighborhood shop that offers small batches of tarts, cakes, cookies and more. Opening Anisette was a natural progression for Nicole whose world often revolved around crafting great food. The shop’s name is inspired by Anise, a frequent ingredient starring in many of Nicole’s concoctions. The menu at Anisette is described as “adventurous, but not fussy,” featuring seemingly mismatched flavor combinations that just go well together. You can, for example, enjoy a honey and rosemary morning bun, some cinnamon granola or even a cardamom donut muffin. Vegan items, such as the blueberry, almond crumble cake, are also regular staples on the menu. 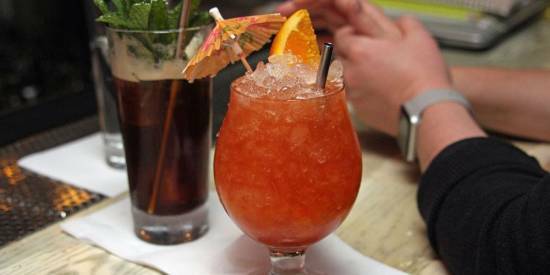 In addition to sweets, Anisette serves drip coffee, cold brews, coffee sodas, slushies and hot and iced teas. Anisette’s selection of wonderful sweets changes daily. Before you go, check their Instagram account, or give them a call to see what’s on the menu. 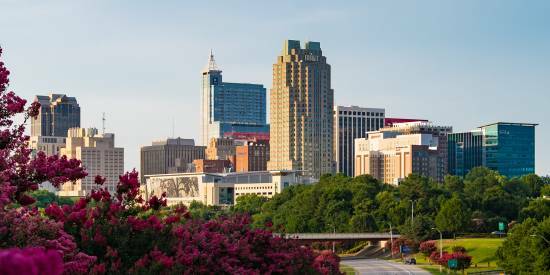 Not too far from the North Carolina State Capitol, Raleigh Convention Center and more in the heart of the city is an eclectic, modern patisserie that can either be the perfect start to your day, an escape in the middle or the greatest reward at the end. If pastries are your jam, then lucettegrace should be your plan. The shop is led by chef/owner Daniel Benjamin. After spending the last 15 years in the finest kitchens across America, Daniel put down roots in the City of Oaks to create a style of pastry built on tradition, but uniquely realized for Raleigh today. Located in a refurbished space on S. Salisbury St., lucettegrace sparkles behind the large plate glass windows during the day and glows with a sweet warmth in the evening. Inside are multi-colored plank floors, incandescent lighting, bright yellow seats and an inviting shop counter. While macarons are what lucettegrace is known for, cookies are just a small part of the refined and inventive delights there. Savor the sweet taste of a lemon meringue or key lime tart. Indulge in the flaky airiness of a croissant. Or, get lost in flavor of the ever-popular Dixie Cannonball, a warm, drop biscuit with cheddar, local sausage, scallions and a scoop of sausage gravy. Add in a small menu of coffees, teas and sandwiches, and you’ve got yourself the perfect café experience. For most people, the image of a “stick boy” is not the first thing that comes to mind when enjoying great bread. But, there’s a company in Fuquay-Varina that’s changing all of that. Stick Boy Bread Company is a family-owned shop run by wife-and-husband team Kate and Josh Dies. They chose to open Stick Boy after moving to the area and noticing Fuquay-Varina was missing one important thing: a great bakery. Specializing in small batches of non-seasonal and seasonal breads, Stick Boy relies on time-honored techniques and all-natural ingredients to make something truly special. Great desserts, pastries and hot coffee are on the menu as well. This quaint downtown shop, with its exposed brick, hardwood floors and cozy seating area, gives off a true hometown vibe. Got a taste for some authentic German pastries? Then leave your passport at home, hop in the car and drive over to Annelore’s German Bakery in downtown Cary. After eight years of selling pastries at farmers’ markets in Raleigh, Annelore and Norbert Gstattenbauer decided it was time to open their dream bakery. Their spacious store is a feast for the senses with the sweet aroma of fresh-baked goods, enticing pastry displays and open plan that lets you witness the baking magic. Together, Annelore and Norbert are reviving Old World baking traditions and providing patrons a warm and welcoming atmosphere. Annelore’s pastries are made with the finest and freshest local ingredients. Be sure to try the Bee Sting cake—a cream cake topped with honey and almonds—and of course you also can’t go wrong with a good old-fashioned cheese pretzel or apple strudel. Located at the intersection of Person and Franklin Sts. in downtown Raleigh, Yellow Dog Bread Company has been described as modern and clean without being pretentious. It focuses on traditional hearth breads and Southern inspired pastries. Founded by a young couple, Matt and Tanya Andrews, Yellow Dog sprang from a love of baking and determination to succeed despite the odds. What shines through with every visit is how much heart is put into every detail of the business from the menu to the atmosphere. Welcoming is the only way to describe an experience at Yellow Dog. The interior has a simplicity that really lets the bakery’s products stand out. The pastry cases are beautifully arranged and clearly labeled, while the back wall proudly displays a dozen or so freshly baked types of bread. Yellow Dog is a carb-lover’s heaven, filled with sticky buns, muffins, scones, croissants, focaccia bread, stuffed baguettes and more. Fan favorites include the chocolate chip and maple bacon scones, almond croissants and the jalapeño cheddar bread. As with any bakery worth its crust, you’ll want to get to Yellow Dog early in the day for the best selection of pastries. Every baked good isn’t created equal. There’s always one that’s clearly the best and takes the cake. For some, that one is pie. And for pie lovers, there’s MB&apos;s Tasty Pastries. Blink and you might miss this tiny bakery that calls Wake Forest home. It’s located at the corner of Forestville and Burlington Mills Rd. right behind the Heritage Market. The “MB” stands for MaryBeth Webb, who decided to take her hobby of making delicious pies for friends and family to the next level. Today, MaryBeth and her husband sell whole pies, individual fried pies and cookies—some of the most popular items include lemon ice box, cherry, apple, bourbon pecan, coconut and blueberry. Since store space is small with limited seating, we recommend you plan on getting your pie to go. Mama Bird’s Cookies + Cream is one bakery that exists a bit outside the white pastry box. Technically, it’s an ice cream shop that just happens to make some of the most delicious baked goods you’ve ever tasted. Owner Lesley Richmond has been a life-long baker and maker of treats. She started Mama Bird’s not as the brick-and-mortar shop it is today, but as an ice cream cart making appearances at private events, farmers&apos; markets and festivals. After receiving an overwhelmingly positive response to her offering, Lesley opened her shop in Holly Springs in 2017. Since then, she’s expanded beyond ice cream to also include fresh baked cookies, brownies and cobblers. At Mama Bird’s, everything is homemade. There’s homemade apple pie in the apple pie ice cream. Homemade pecan brittle in the butter pecan. The cinnamon roll ice cream? Cinnamon rolls, made from scratch, mixed right in. Even the waffle cones are made from scratch with the freshest ingredients. No list of bakeries would be complete without a shop that specializes in exquisite cupcakes. Especially given the cupcake’s elevated status within the world of baked goods in recent years. Sweet Traditions was started like most bakeries: at home. Owner LeAne Boksleitner and her family would spend hours baking up family recipes from the comfort of their kitchen. Soon, those same family recipes would become the talk of the town, and Sweet Traditions was born operating out of both a brick-and-mortar shop in Wake Forest and a mobile trailer. While the “Traditions” include everything from wedding cakes to pies to cookies, the cupcakes truly steal the show. You can (and should!) savor the wedding cupcake, a signature white cake topped with buttercream icing and sugar sprinkles; devour the Death by Chocolate, a chocolate cake with chocolate ganache filling, chocolate buttercream icing and a chocolate ganache drizzle; or sink your teeth into the Chocolate Chip Cookie Dough, a chocolate cake with a chocolate chip cookie baked inside! Last, but certainly not least, there’s a bakery in downtown Cary where the buttercreams are fluffier, the fillings are finer and the chocolate is simply divine. Satisfy your sweet tooth in no time with a stop off at Once in a Blue Moon Bakery & Café. Whether it’s a craving for cake, a croissant or just a classic, chocolate chip cookie, this bakery has you covered with goods made fresh everyday with truly exceptional ingredients. You can also enjoy a light lunch here from a short list of delicious sandwiches, salads and quiche. A sandwich combo with chips and a pickle is a steal at $7.95 plus tax. A perfect complement to the food is the café’s dreamy atmosphere with its blue walls and table tops painted to mimic the night sky. A large mural inside also features both a crescent and full moon. With an awesome location in downtown Cary, Once in a Blue Moon is within walking distance of the Ashworth Drugs, The Cary Theater, several art galleries, a few antique stores and more.